Harvey Solomon, M.D., FACS, of Chesterfield, Missouri, was recently announced as the new Recovery Surgeon at LifeShare Transplant Donor Services of Oklahoma. “Dr. Solomon brings a wealth of knowledge and expertise to the organ recovery field as a surgeon, but he is also skilled at developing relationships with teams to achieve the best outcome no matter the challenges that are faced,” said Janice Whaley, Chief Operating Officer of LifeShare. In this role, Solomon is responsible for the surgical recovery of donor organs for transplantation or research. This position is instrumental in directing the flow of activity during the recovery process. Solomon will collaborate with both LifeShare and external resources to develop and promote practices to increase the number of organs recovered for transplant. 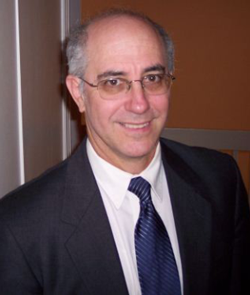 Solomon has more than 30 years of experience in general surgery with a focus on education. Prior to coming to LifeShare, he was employed by MidAmerica Transplant Services as the Co-Medical Director. Solomon attended Hebrew University Hadassah Medical School in Jerusalem, Israel and completed his General Surgery Residency at Soroka Medical Center in Beer Sheba, Israel. He later completed his Transplantation Fellowship at Baylor Medical Center in Dallas, Texas. Additionally, he is a Board Certified Surgeon and belongs to the American College of Surgeons and the American Society of Transplant Surgeons.